With no doubts, WordPress has a strong security level. However, let’s face it, no one is safe from hacker attacks. The worst thing is that website attack is usually not obvious at all and when you understand the site is hacked, the damage can be enormous. How can you “help” the guys? 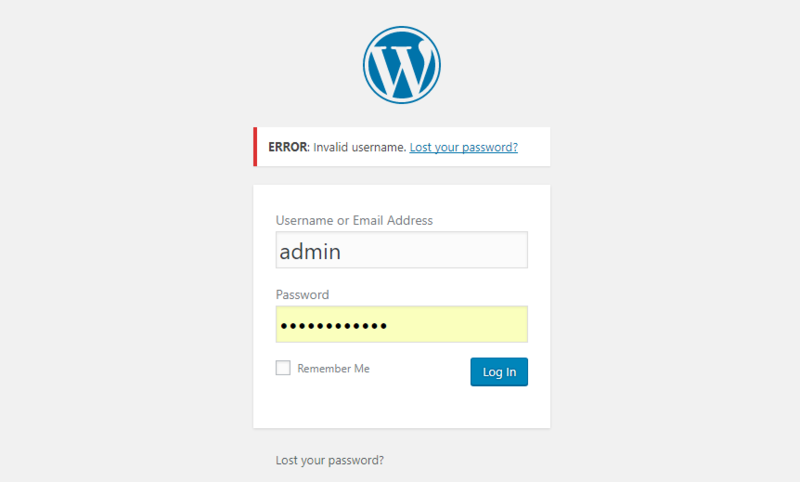 Using weak passwords, running an outdated version of WordPress core or installing and using insecure theme or plugins. How exactly your site can be put at risk? DOS (denial of service) Attack. Many requests are sent to your site at once which leads to server overloading and its crashing. Random data queries. Their injections on your site help to add, change, remove, and steal your content. Locking you out. Hacker can gain a complete admin access to your site and its data. What are the signs that your WordPress site is hacked? There are a lot of malware that redirects your traffic to different spammy websites. So if you see a sudden drop in traffic at your analytics reports, you should take it seriously. Also, the reason of that can be a Google’s safe browsing tool which can blacklist your site and show warnings to users preventing them from visiting. You can check your website here to see your safety report. If you turned off the registration but someone adds different strange users on your site means that someone else has admin permissions. So pay close attention to e-mails sent by WordPress about new users registration, or check accounts in Users tab from time to time. Exploits like this often appear because of outdated plugins or security issues with your host. So if all of your plugins are updated, contact your hosting company asking to secure your FTP account. Data injection is one of the most common signs of the hacked website. This way, backdoors are created on your site and hackers get an opportunity to modify your WordPress files and database. Also, that is how links to spammy websites appear on your pages. As a rule, they are placed at the footer, but, actually, they could be anywhere. You can delete those links, however, there is no guarantee that it is forever. In this case, it is necessary to find and fix the backdoor. If you can’t login to your dashboard, most likely that your admin account has been removed. And if it doesn’t exist, you’re not able to reset your password from the login page. You can add new admin account using FTP or phpMyAdmin, but you should understand that the site will be unsafe until you figure out how the hacker gets into your site. DOS attacks use several hacked computers and serve to send endless requests to your server or trying to break into your website. Such activity will significantly slow down the website, make it unresponsive, or even unavailable. It is necessary to check log on your server to find out IPs which send many requests and block them. Also, it is possible that your website is slow because of other reasons not related to site hacking. Here you can find some recommendations on How to Boost Performance of WordPress Site. After you realize that your website has been hacked, it is necessary to fix it as soon as possible in order to avoid a major disruption. Knowing these signs will help you to catch the hack early and take immediate measures.